A contemporary counter / bar stool made by Dean Babin. Brass wedges in the seat provide both a classic look and strength to the stool. 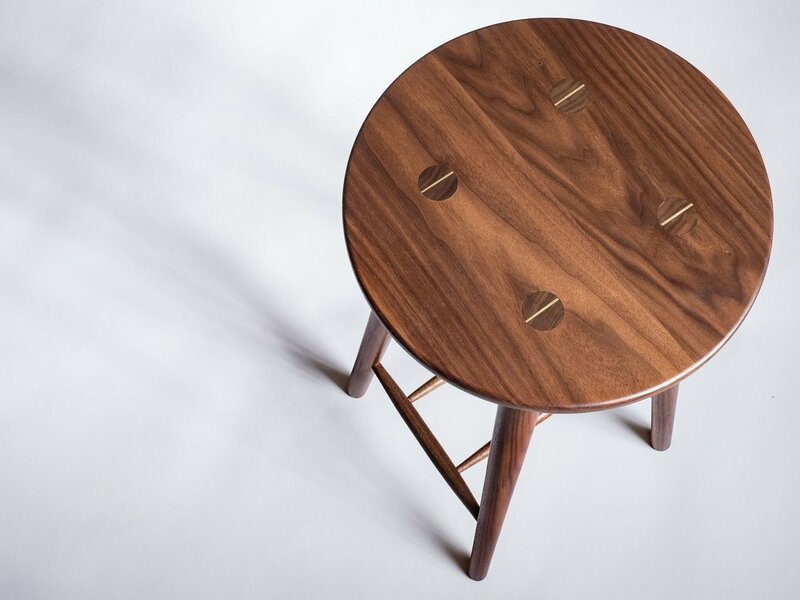 Constructed with traditional mortise and tenon joinery, this modern stool was built to last. Brass wedges in the seat provide classic style and stability. Each stool is locally sourced from hand-selected, top quality (FSA) lumber. The stool's minimal design pairs well with bar tops, cafes and kitchen counters.